NEW DELHI — India’s Congress party is struggling to forge an opposition alliance to fight a looming election having been rebuffed in the biggest state, Uttar Pradesh, regional party officials say, improving Prime Minister Narendra Modi’s chances of a second term. Voting begins on April 11 and will be spread over several phases until May 19 to cover the country involving more than 900 million voters, and the count will be made on May 23. 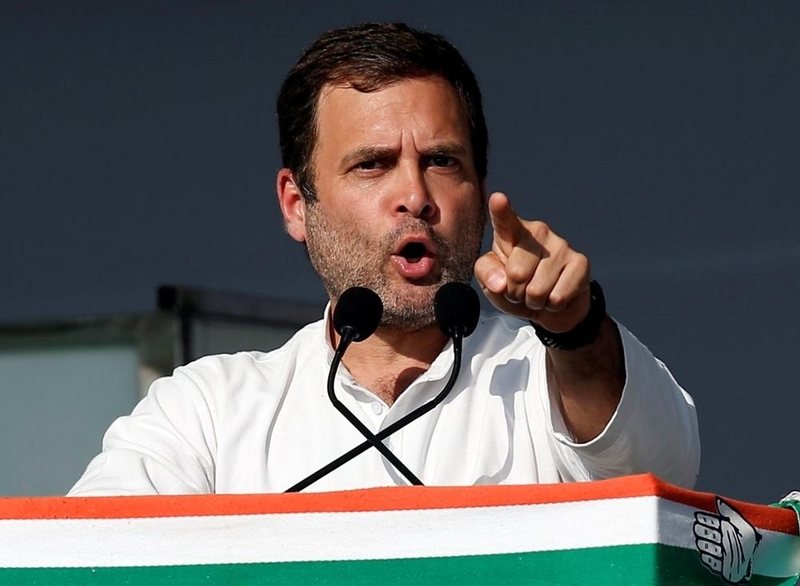 Congress chief Rahul Gandhi has been seeking a grand alliance with smaller regional parties for months to prevent a split that would make it easier for Modi’s Hindu nationalist Bharatiya Janata Party (BJP) to come out on top. Officials in regional parties and analysts said Gandhi’s strategy has been undermined by Congress leaders’ unwillingness to compromise or play second fiddle to regional politicians, some of whom have vaulting ambitions. Mayawati, the powerful leader of a party championing the cause of the lowest in the Hindu caste hierarchy in the battleground state of Uttar Pradesh, said earlier this week that she won’t tie up with Congress. Her Bahujan Samaj Party, which possesses a large vote bank in the state, has struck a deal to put up joint candidates with another regional party representing Muslims as well as other lower Hindu castes, she said in a tweet, predicting her alliance would win a majority of the parliamentary seats in Uttar Pradesh. “BSP once again wants to make it very clear that in Uttar Pradesh and in the country as a whole we are not in any form of alliance or agreement with Congress,” Mayawati said. A BSP official said that Congress had wanted to run in far too many seats rather than give way to regional parties even though its victory was not assured in those seats. Gandhi had more success alliance building in the large eastern state of Bihar. Congress has agreed to run in nine seats out of the 40 at stake in the state, leaving 20 to the regional ally and the rest to be allotted among still smaller parties. “In Bihar, this is an alliance to save the constitution, if we are not together, we will lose,” said Manoj Jha, leader of the Rashtriya Janata Dal, a party that has helped put together the alliance. In January, 23 regional groups had held a rally in the eastern city of Kolkata vowing a common platform to fight against Modi, blaming him for creating a climate of fear among India’s minority Muslims. Gandhi also promised his support. Some Congress leaders have argued that the grand old party that led India for most of the first five decades since independence in 1947 needs to stand alone for its long term revival, rather than depend on regional partners’ support. Congress suffered its worst showing in the 2014 election when Modi stormed to power with a commanding majority. And opinion polls show that while the BJP has lost ground since then, it is still the frontrunner in the coming election. Political commentators said failure to stitch together an opposition alliance would help Modi’s BJP win a second term to pursue a Hindu-first agenda that undermines the secular foundations of India’s constitution.